Zoom in to see the indoor floor plan of a building. You can also search within the building once you’re fully zoomed in. Use the level switcher in the bottom right-hand corner to move from floor to floor in the building. 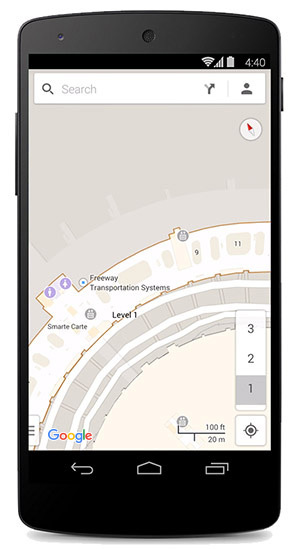 In addition to making the content available to our users in Google Maps, your indoor map will also be available through the Google Maps APIs for use in your mobile applications or website. 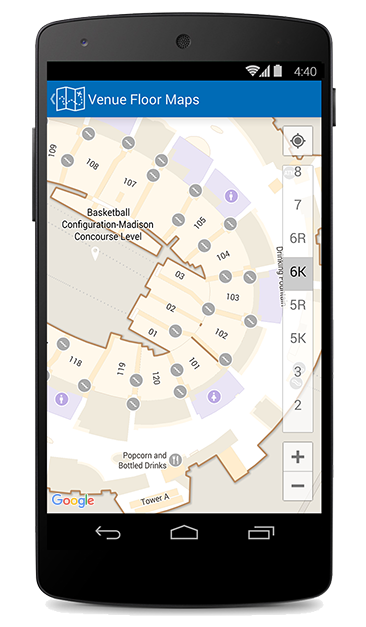 Learn more about indoor maps or explore more partnership opportunities with Google Maps. Find out where Indoor Maps are available and learn how to use indoor maps to view floor plans. Enhance your business presence across Google with a premium-quality, 360degree virtual tour powered by Street View technology. Integrate Google Maps to your site with the Google Maps API. Create a seamless user experience across screens and platforms.